Sarah and Mike were my first clients of 2019! With 2018 being such a strong year for my business, I was excited to hit the ground running with more awesome couples in 2019. They did not disappoint and we all had a blast in downtown St. Petersburg, chasing the sun, looking for interesting backdrops. Sarah and Mike were referred to me by their friends Monica and Phil (check out their engagement session here) so I immediately knew that they were going to be fun clients to work with! For people who both describe themselves as introverts “who don’t like PDA” Sarah and Mike really seem to enjoy each other, don’t you think? 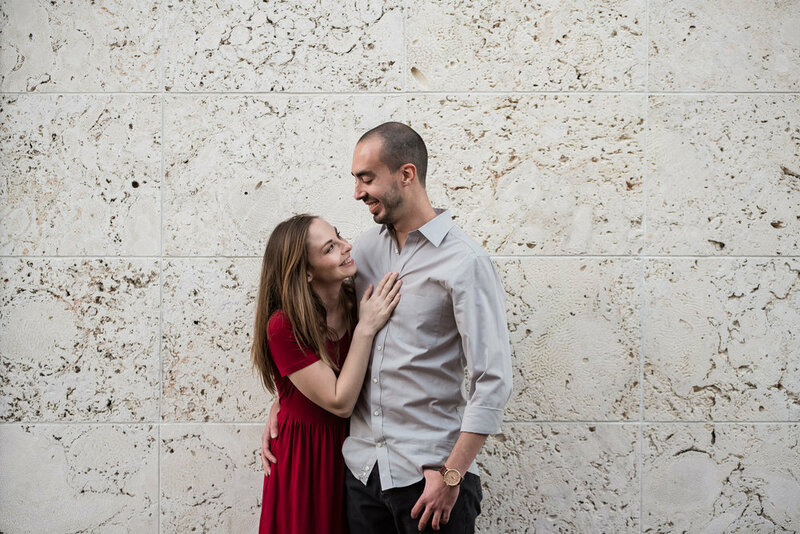 We started in Straub Park near the Museum of Fine Arts in downtown St. Petersburg, and made our way to some of my favorite spots in town including the old post office, and Mirror Lake Library. 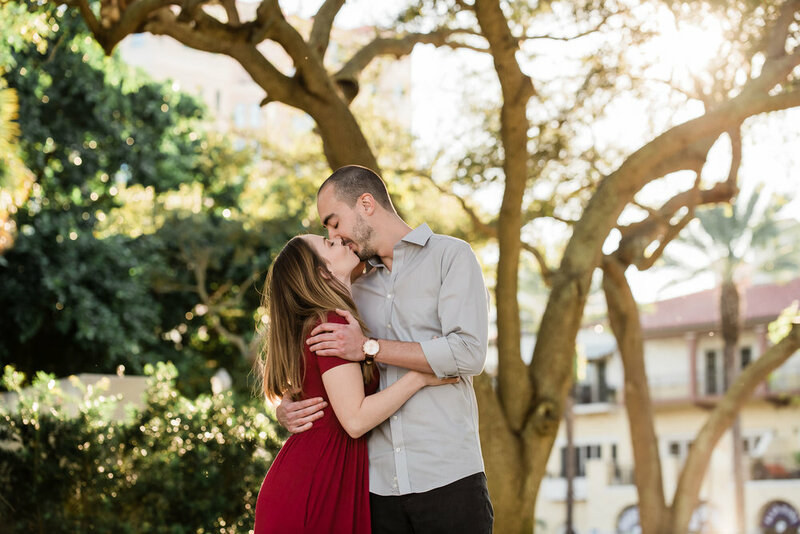 This particular session reminded me so much of why I love doing wintertime engagement sessions in St. Petersburg. The weather was absolutely perfect and we were able to find nice side/backlighting from the sun throughout the entire session. 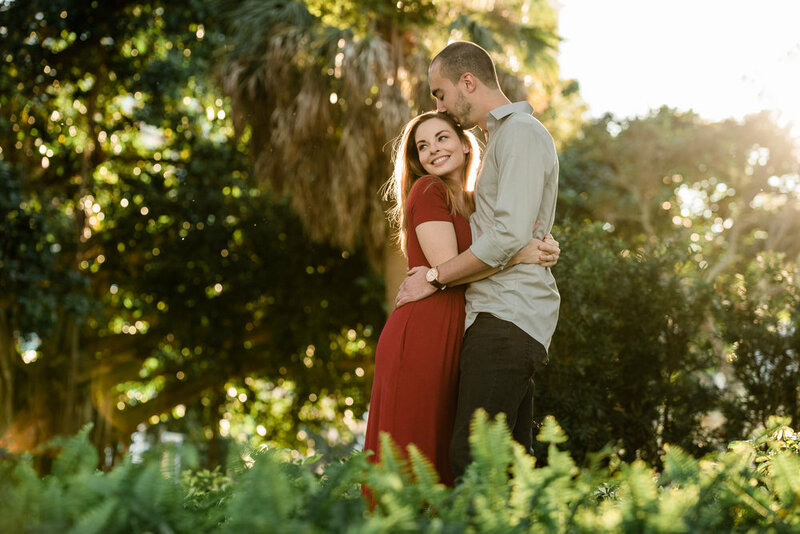 Throughout Sarah and Mike’s engagement session, the song “Sun is Shining” by Axwell Λ Ingrosso. 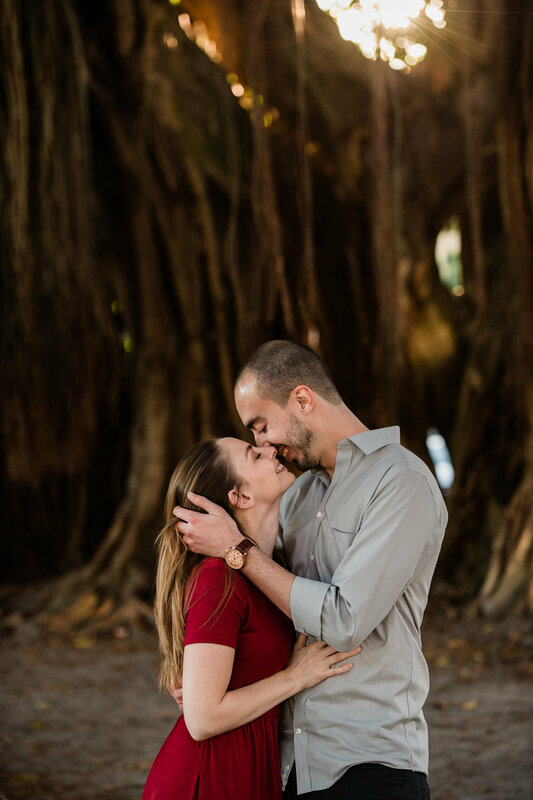 The main lyric is “Sun is shining and so are you!” which is repeated over and over.I felt the warm sunshine love all day between these two, and I am super excited for their wedding this June at the David Island Garden Club. Also a big THANK YOU to Sarah and Mike who treated me to a surprise Uber Eats delivery of some hot wings and tater tots that I was able to enjoy during last night’s football game. Perfect couple? I think so.